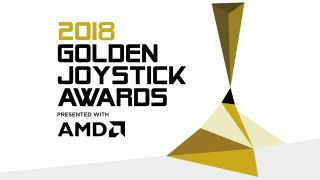 The Golden Joystick Awards is an event where your vote really counts, letting you decide which of 2018's massive games deserve to be recognized and celebrated. In a year with games like God of War, Fortnite and Red Dead Redemption 2, it's going to be an epic battle. Voting opens on September 21, and the ceremony itself will take place in London on November 16. When it comes to the Ultimate Game of the Year award we've listened to your feedback, and changed the voting window to give you more time to play the big autumn releases before you cast your vote. The GOTY vote now takes place in one week at the end of regular voting, from October 26 to November 2. "We're working hard to make sure this is the best Golden Joysticks yet, with new and revamped categories designed to ensure that players have a chance to celebrate the games they loved most in 2018," says Dan Dawkins, Global Editor-In-Chief, GamesRadar+. As for the ceremony itself - which takes place at London’s Bloomsbury Big Top - comedian, author and star of the Assassin's Creed games Danny Wallace returns to host, and there'll be special developer guests, livestream trailer reveals and more. "I’m delighted to be returning to the much-loved Golden Joysticks for a third year, because it means I won’t have to stay at home and pay for a party to celebrate the very best in gaming on my own, which is pointless and needlessly expensive," says Wallace. The Golden Joystick Award categories and shortlist will be announced on Friday, September 21. For more details on voting, categories, news from the Golden Joysticks and more follow us on Twitter or Facebook.